Top 5 Do’s and Don’ts for Getting your Picky Eater to Eat! If you asked me what my toddler’s favourite foods are, the answer would vary day to day. Sometimes she likes macaroni, sometimes she like tomato sauce, sometimes she likes cucumbers, and sometimes she likes NOTHING. Well, NOTHING, unless it’s fruit or comes from a package. 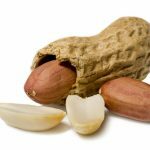 We don’t like to serve our kids processed foods because of all the extra additives and preservatives, even though it can, at times, be SO MUCH EASIER to reach for a bag of potato chips or granola bar. 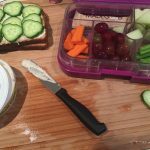 The picky eating stage (welcome to toddlerhood) is very difficult, especially if you’re vegan or vegetarian and you’re trying to show the world (and yourself) that your child eats well and is healthy. It’s perfectly normal. Some omni kids live off of crackers and Kraft Dinner for a year, and they’re doing OK. So, your kid will be OK too. 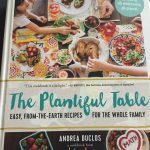 What can you do if you do have a picky eater? Well, here are our top Do’s and Don’ts that seem to work for us…most of the time that is! Offer the same food again, and again, and AGAIN. It’s been said that it can take up to 20 times for a child to try and like something, so repetition is key. You can also try to offer the same ingredient in different forms — for example, if you’re trying kale, you can try kale chips (recipe here), kale soup (recipe here), kale pesto (recipe here). Look at cookbooks and let your child choose a recipe they think looks good. This is a fun activity that kids will love — after all, they get to spend time with a parent, look at books, AND decide what the menu will be for dinner. It’s a win-win! Let your child help with meal prep. If you want your child to try something, let them help make it! Kids take pride in the work they do, and they are sure to want to reap the rewards of their efforts. 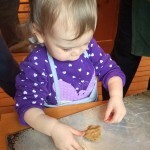 Young toddlers can help wash veggies, pour, stir, and even chop soft foods with a dull knife. Even if they only try one bite of the food they’ve made but don’t like it, it’s one step in the right direction. Try serving meals family-style. That is, don’t put your toddler’s meal on his/her plate before the plate gets to the table. Place your main and sides on different platters or bowls in the middle of the family table and allow your child to choose what, and how much, of each dish he or she would like to eat. Your child might only choose one item to start, but you might notice that by the end of the meal, your child has tried a taste of everything. By allowing your toddler to feel in control of their own meal and preferences, you create a more comfortable meal time. Eat your meals as a family! Whether your family has two people in it or 10, try to eat together every chance you can. This can be difficult for busy caretakers/parents who work long or difficult hours, but if your child sees you eating certain foods, they’ll be more likely to try those foods too. BONUS TIP: Talk to your toddler about why certain foods are good for them, and what they can do for their body. For example, our toddler starting eating carrots by the handful when we told her carrots can help her eyes, and MAYBE even help her see better in the dark! This was a huge motivation for her to eat more carrots, mostly because she likes to sneak into her parents’ bed in the middle of the night. BONUS TIP: Consider growing your own veggies, whether in a garden or window box. Toddlers love to garden, and if they can grow their own food from seed to full-blown veggie, they will be SO motivated to give the food a try. 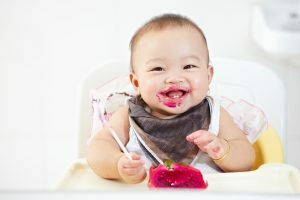 OK, so you’ve got the top do’s, now here are a few things you SHOULDN’T do when trying to get your veggie baby to eat. Don’t force kids to eat their food. “EAT OR YOU’RE GOING TO YOUR ROOM!”. “EAT OR YOU CAN’T GO OUTSIDE”. “EAT EAT EAT!” We’d never yell at another adult or peer if they didn’t like a food they were offered. Kids sometimes genuinely don’t like certain foods, so forcing something on them isn’t very pleasant for them or for you. If your child takes a bite of something, praise them and be thankful that they trusted you enough to give a new food a try, even if they didn’t finish it. Don’t bribe your kids with dessert or other rewards. I’ve been guilty of this one for sure, because it can work well on smaller kids (the temptation of a cookie, for a three-year-old is too great NOT to eat “just one more carrot!”). But, by bribing your child with a dessert or other reward (going outside, watching a show on TV, etc. ), you create an unhealthy relationship with food. This tactic will stop working as kids get older and then you’re left with an uneaten meal and an unhappy child. Don’t make a separate meal for your child. You’re not a short-order cook. You also don’t have time to be making multiple meals for your family each night. Your child will eat if they are hungry, and your child has to get used to trying new foods (see the #1 DO, above). By following the other DO’s, above, e.g. 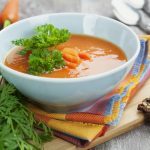 eating as a family, and involving your child in meal planning and prep, your veggie baby will be more likely to eat what everyone else is enjoying. Don’t allow your child to over-snack. Too many snacks before mealtime, no matter how healthy, will ensure your child will turn up his/her nose at a new food. Snacks are OK, of course, but make sure they they are offered at least one hour BEFORE dinner time. Don’t give up! Really. It can be so easy to give up and do all the DON’Ts in this list. Believe me, I’ve done them all too. Stick to your guns, and do the DO’s, and eventually your child will grow out of his/her picky eating phase.